As noted, last week I found myself a tad grumpy. I was feeling lonely and annoyed at Doc H's work schedule. Yes, even I get a bout of hospital hatred every now and then. Just as I was blogging out my grumpiness and venting my frustrations by banging them out on my keyboard, my cell phone dings signaling a voice mail. Thanks to caller ID, I noticed it was a long lost best friend from yesteryear. Best friends through elementary and junior high. Always competitive with one another. Remained great friends through high school, but not as close. We branched out with other friends. Stayed pretty close up until the last 5 years. Despite my calls to her, she never called me, but has sent me random invitations to big events in their lives. Since she lives over two hours away, I haven't been able to attend. Haven't seen her in over 4 years. Haven't spoken or emailed in over 2 years. Being in a grumpy state, I immediately wondered what she wanted. I began to listen to her cheery voicemail, "Hey, there! It's Crissy! It has been way too long since we've chatted and I wanted to catch up with you!" I immediately began to get the warm fuzzies, feeling guilty about thinking she wanted anything more from me other than to re-connect. She was my lifelong friend who always wanted to be there for me. She was the same sweet girl she always was... I luv her. 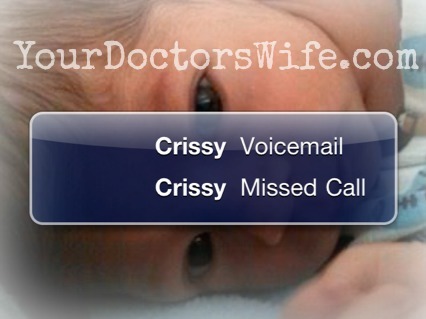 Her voicemail and her desire to reconnect with me was pulling me up from the bowels of grumpiness! I felt the warmth of happiness embracing my cold heart! Mmmmmm.... feels good! Feels VERY good! She continued on, "...however, there is a specific purpose for my call (insert sarcastic "Surprise!" here). Max (her husband) hasn't been feeling well and is going in for biopsy and I just thought I should call you, so you could pass this information on to Doc H. I would love to have him take a look at it and have him refer some doctors to us. I am just trying to get the best medical care I can for my husband (as if I forgot how Max is related to her) and utilizing all the resources we have. Our consult is tomorrow, so I'd love to hear from you today or tomorrow morning." How does one explain sinking lower that the bowels of grumpiness?? I sunk even further. Perhaps I passed through the crap filled bowels and was now found myself simply grasping, hanging on to the last hemorrhoid of despair before just plunging into the waste waters below. She was not truly calling for me. She was calling for Doc H.
It truly was a sh@tty day. That would've made me grumpy too. Can't be bothered with me unless it benefits them in someway? Geh! Maybe my heart is cold, I would've deleted the message and been done with it. Ha!! YOU? I would be offended if you didn't ask (that is if you couldn't get one yourself from your own Doc H)! This must be how those who win the lottery feel when all their lost family and friends come out of the woodwork with their hands out! Wow. That would have upset me too. Nothing says friendship like not communicating at all for at least two years and then call to ask your super busy husband to do her a favor before tomorrow morning!! Hope this week is better for you!! I think this week will be better! Hi I found you through the GFC Blog Hop and followed :-) Feel free to visit my blog anytime. Thank you for following! Welcome! I get that a lot; there are some numbers that when they come up on my screen, I know they want a medical favor no matter how long they go on and on asking how I'm doing. :( Hopefully things will start looking up! New follower here from the GFC Hop! Welcome and look forward to visiting your blog! Happy Holidays to you, too and a big welcome! oh feel better soon. And perhaps, no more phone calls from friends two or three life stages removed, you know until you crawl back up from the "where you're hanging on right now" sort of place. It is so strangely nice to meet you... really truly. Following ya now from the sweet GFC blog hop. We're riding the wave of life at Local Sugar Hawaii and I'd so love it if you'd join us for the adventure. Thanks, Nicole! Will be hopping over! This week is so much better! No spa day, but still much better!